“Albania has made lots of achievements. Time has come to launch accession talks with the EU.” This was declared today by the German State Minister for Europe at the Federal Foreign Ministry, Michael Roth in a meeting held with Albania’s Parliamentary Speaker, Gramoz Ruçi and the head of the Socialist Party parliamentary group, Taulant Balla. “Albania has achieved a lot. There’s a need to make further improvements in the judicial system, electoral system, regional relations, fight against corruption and there’s also a need to launch accession talks with the EU as soon as possible”, he said. 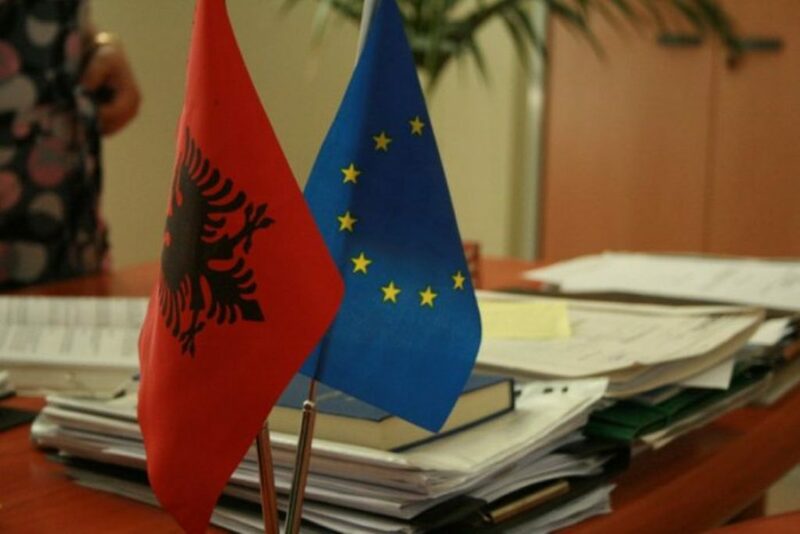 Meanwhile, the socialist senior official, Taulant Balla said that “Micheal Roth remains a strong and committed supporter of Albania’s integration in the EU”.